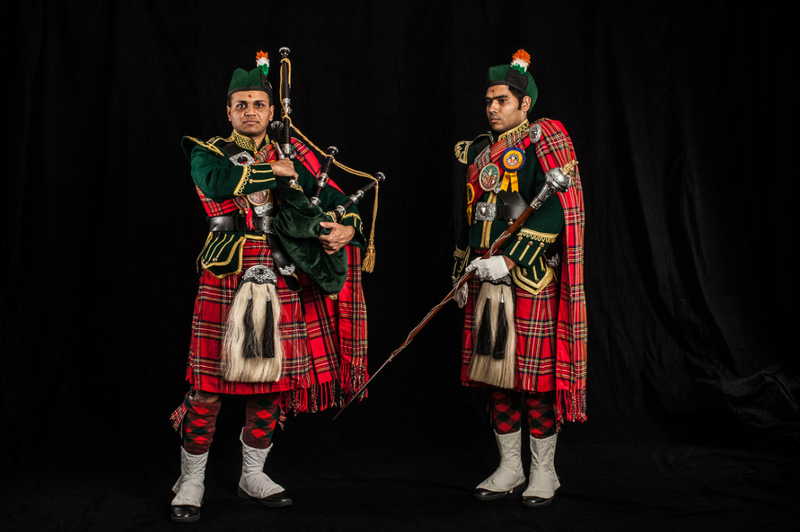 The series American Bagpipers depicts portraits of an Indian-American bagpipe band based in a Hindu temple in New Jersey. 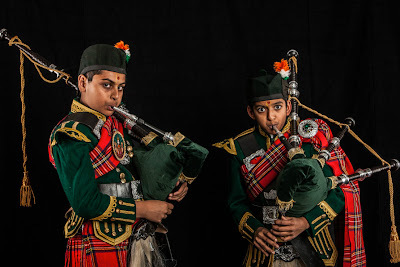 The inspiration of Scottish bagpipes as the primary devotional music in the temple goes back to 1970 when the then leader of the faith, Shree Muktajeevan Swamibapa was visiting his followers in London. 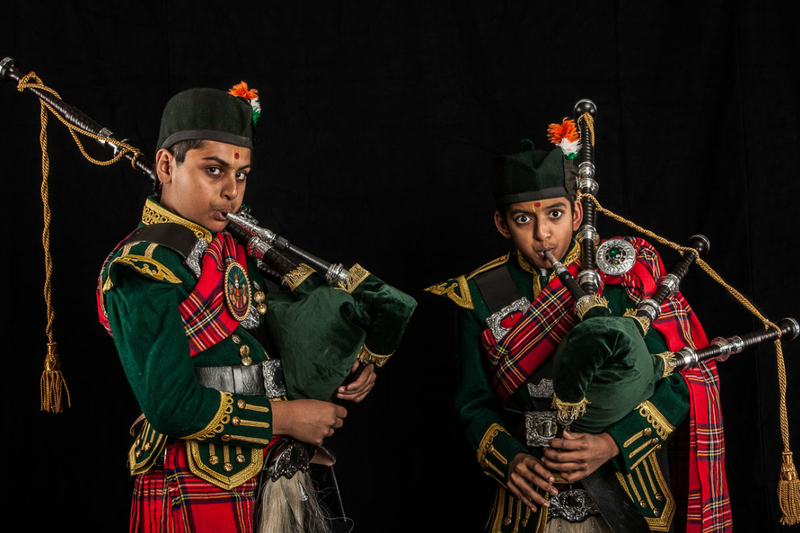 While he himself was a firm believer in music as a form of devotion, it was not until he heard a local Scottish bagpipe band leading the procession of followers to a concert at Trafalgar Square that inspired Swamibapa to instruct his devotees to bring bagpipes at temple ceremonies. Since then, similar pipe bands have been established in Nairobi, Kenya, Bolton (UK) and Secaucus, New Jersey (the one pictured here). As one band member said, "Its a brotherhood and the band is a great way to get the younger generation involved in the temple." This is so interesting! Thanks for sharing!